Browse: Home » 2016 » May » We are open and looking for volunteers this summer!! That’s right! We are open during the summer. (I know it isn’t summer yet, but in university scheduling speak, I think of this time as getting ready for the summer semester.) We will be partnering with OPIRG to offer the Summer Institute again and we will need people to help get stuff to and from the workshops and to clean dishes. Workshop details will appear on fb and the events page shortly. 🙂 GRCGED will be going through our library and deciding which books need to retire as well. Our shelves are getting full and something has got to give. We need to decide what to do with the old books too. I’m going to miss you books! 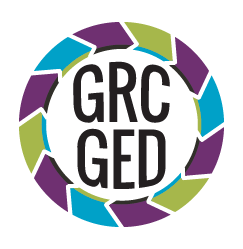 The relationship between individuals and GRCGED is one of partnership. The Centre wouldn’t exist without the time, energy, enthusiasm, creativity, and dedication of our volunteers. At the same time, the Centre is an engaging space for volunteers to express themselves, to examine themselves and society, to learn and develop skills, to expand their ideas about intersectional feminism, and to access resources and support.